Inside Out is ten days away! To celebrate, we’re giving our readers the chance to win a copy of the art book. This is certainly a worthy addition to anyone’s art book collection. It’s filled with the most gorgeous concept art and boasts impressive work by seasoned artists Ralph Eggleston, Ronnie del Carmen, Albert Lozano, and Josh Cooley. To win a copy, comment on this post telling us who your favorite emotion is and why. Be sure to include your name and email address as well. This giveaway is open to US residents only. Comments must be posted before Wednesday, June 17, 2015 at 11:59 PM EST. 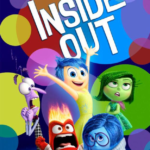 The winner will be announced the following day with an email by June 19th, Inside Out‘s release date. This giveaway is now closed. We’ll post the winner shortly! 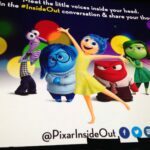 Art of Inside Out Giveaway: Winner! Upcoming Pixar Reviews ‘Sketchtravel’ from Chronicle Books! 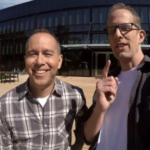 Upcoming Pixar Reviews The Art of Pixar from Chronicle Books! Simoa (Elliefredricksen) is Upcoming Pixar's lead writer and editor. As a big Pixar fan ever since she was a kid, Simoa brings a fresh, new perspective in covering the latest news with Pixar's upcoming feature films and shorts. "Yes, as Muntz himself says, adventure is out there!" I can’t accurately say who my favorite emotion is because I haven’t seen the film yet…but I would say that my favorite emotion is Anger. It’s an emotion that can be expressed in so many different ways, but is also misunderstood. It’s bad to let anger run while, but it’s also bad hold it in. Just because you feel anger, doesn’t make you a bad person. I love Joy! So much positivity and her style! Sadness because she’s so cute with her giant glasses. My favorite emotion is Joy mainly because she has shown my son how to display an optimistic feeling verbally which in turn makes him more relatable to his peers. Also, I cannot wait to see this movie with him as it is all he watches on YouTube during his free time. My favorite emotion is joy because really there is no better feeling. I’m beyond excited to see how Sadness’s role in the film plays out. Many of the early reviews praise Docter for how he shows that sadness is just as necessary as happiness in humans which is crucial for everyone to understand. Hopefully the movie helps a lot of kids (and adults) understand just how normal sadness is. Plus I’m sure she’ll be the root of a ton of heart-wrenching moments! My favorite emotion is Anger because I think Lewis Black is a perfect voice for him and I feel like the most humor can be derived from his attitude. We were just talking about Joy today in my 7th grade mindfulness class . . . and what moments in life make us feel truly joyful. (And I’m a huge Amy Pohler fan) Having said that, I think Disgust is so interesting, and so much gorgeous songwriting comes out of sadness. I’m gonna go with . .Disgust/Mindy Kahling. (I guess I can’t choose just one!) I’m so excited for this film to come out. Thank you Pixar!! It’s gotta be Joy. Sure, the others are necessary, but life’s nothing without her! Sadness because I know that feel. Disgust! Because A. Mindy Kaling and B. It’s such a complex emotion compared to the basic happiness/sadness/anger and it’s so interesting that they decided to include it. My favorite emotion is joy, for there is simply nothing like it. My favorite emotion is Anger. He catches my attention the most because his ferocious nature is not only humorous, it is essential, as well. Anger is always on edge, making him the one character most capable of taking risks and pushing the envelope. My Favorite emotion is Anger because he is the funniest in all the previews. My favorite emotion is Sadness, because she pulls my heartstrings the most. I also think that the depth and theme of the movie will play out the most through and because of her. But design-wise, I think they are ALL BRILLIANT! My favorite emotion is Disgust because you can express what do you dislike about the status quo, that makes you unique, and different. I’m most looking forward to meeting Joy – with 4 ‘negative’ emotions to contend with, I’m sure she will be stealing the show! The best emotion (and my personal favorite) has to be Joy (not to be cliche). The concentrated energy that radiates from this character, from her glowing particles to the incredible voice-work by Amy Poehler, is the most incredible representation of true joy and happiness that I have ever experienced. Only in Pixar films have I ever found such pure and amazing characterization. My favorite emotion is happy 🙂 because who doesn’t love feeling and being happy? It’s the BEST! My favorite emotion is Disgust. She’s very cute and the most interesting of the characters inside Out before seeing the movie., having the best lines in the trailers. I think Joy is my favorite emotion, and Amy Poehler is perfect to provide the voice. She makes everyone happy! I can’t wait to see the movie! Sadness is my favorite emotion! Even though she’s down in the dumps all the time, there’s just a lot of laughable bits from her character. Like there’s tiny little things she says and does that are absolutely hilarious. From clips and trailers you can tell she has so much heart, and I feel so bad that none of the other emotions understand her or what her purpose is. I think she is going to surprise them and audiences alike because she just seems like such an amazing character with much to offer. My favorite emotion is Disgust, because I think that’s the one responsible for sarcasm, and my everyday interactions would be very bleak without it. The emotion character I am most interested in seeing is Disgust because she is the most unusual and unexpected emotion of the five. My favorite emotion is Sadness because so far she looks hilarious in the trailers and previews I’ve seen. Pete Docter and Albert Lozano came to my school and showed us her character tests and Phyllis Smith is absolutely perfect as her voice. She is a great contrast to Joy and will certainly provide a lot of comedic moments. My favorite emotion is Fear because I love Bill Hader!! thanks for the great posts and keep the news coming. Can’t WAIT for next week! Sadness because she is so cute and I just want to hug her and make her feel better! My favorite emotion is Fear. Bill Hader is hilarious, and I think Fear is the epitome of how I feel when I’m scared. Panic is my favorite emotion because it is one that I can relate to. I seem to panic alot. Thanks for the giveaway. I hope that I win. My favorite emotion is Joy! 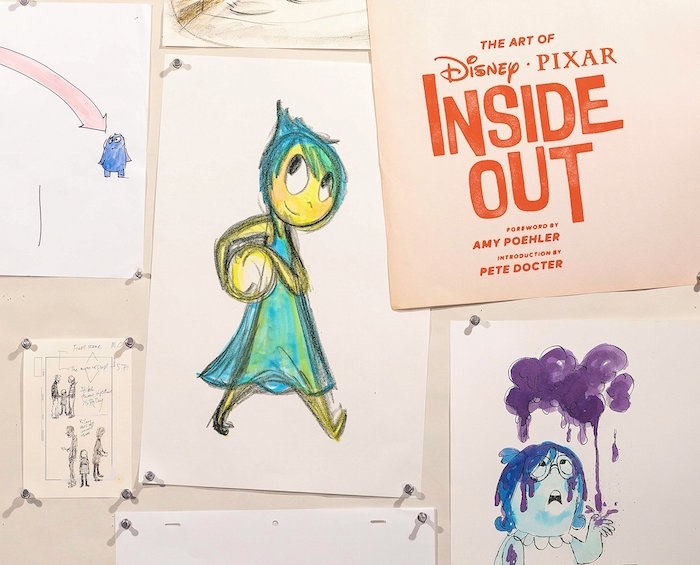 Pete Docter explained that she was designed like an explosion or spark, and full of energy. Joy’s cheerful, positive and does a great job making life fun! My favorite emotion is Disgust because she made me crack up on the previews I watched! My favorite emotion is Fear because I can relate to him the most out the emotions. I am always fearful about failing, the future, and life in general. Sometimes fear stops many from accomplishing goals and tasks. Fortunately though, without fear we can’t have courage and bravery. One of the best feelings is when you overcome your fears; it is wonderful. Joy is my favorite emotion due to her bubbly personality. From what we’ve seen so far, she doesn’t let anything get her down and always finds a way to think positive. She’s exciting, funny, and charming. Her undying optimism is unforgettable and has been able to turn the worst days around. My favorite emotion is Sadness because I love her sweater and I think she’ll show the other emotions that a little sadness every now and then is part of being a human. My favorite Inside Out emotion would definately have to be sadness because she is such a well written and played character. Her mannerisims are so realistic and everything about her just emulates sadness. Also Phyllis Smith is fantastic with the voice work! My favorite emotion is Joy because her character most cements the idea that the emotions inside our heads are round characters rather than caricatures. Joy feels sad, angry, afraid, and disgusted at several times throughout the movie. Amy Poehler’s performance fills this tough task perfectly. My favorite emotion is Joy. Amy Poehler’s unabashed silliness is infectious, and the character design is instantly iconic and appealing. Plus, I am excited to think of future generations of kids subconsciously imagining their emotions as little color-coded characters in their heads, and letting their own personal ‘Joy’ take the helm because, well, she’s their brain’s main character! I think my favorite emotion would have to be fear. It seems silly but fear keeps us safe and aware of what’s happening around us at all times. Fear is overlooked and made fun of, cause it’s fearful. But sometimes the scariest things tend to you favorite in the end. My favorite is Joy and Amy is going to kill with her voice work! Having not seen the film yet, I’d say my favorite emotion is anger. I think his shape archetype very well fits his personality. Having hard edges and being square. His design is simple, yet expresses his emotion. Sadness–when I saw her walk across the screen at the end of the trailer it hit me right in the feels. She has big glasses like me and I like her sweater. I think I might have to be Sadness for Halloween this year. Then maybe get a few friends to join in as the rest of the crew. Reading everyone’s answers is making me love all five of them even more. Thanks! Let’s see which one steals the show in the movie, but I’m really excited to see Lewis Black do his thing as Anger on screen. Actually, *all* the voice casts are really quite inspired! But it has to be Lewis Black and his inimitable perpetual angry character that’s always hilarious that I’m anticipating most. As a long time fan of Lewis Black, anger is my favourite emotion! My favorite it emotion is disgust. I couldn’t choose from all 5 because I love them all! My favorite emotion is Joy. I really can’t wait to see this film! I love arts and design so I would really appreciate this copy. Joy. She reminds me of my girlfriend. No matter what the mood is…she always finds a way to make me happy with her presence and attitude. I’d love to give her this book if she wins the movie looks like it’s going to be really fun. Not having seen the film and judging only from the trailers, I’d say my favorite emotion is Joy. She’s full of life and hope and makes me excited for the future. Sadness, she seems like one of the most honest (if a bit dramatic) feeling in the cast. Can’t wait to see her journey. My favorite emotion would have to be Joy! Not only is she halarious but Joy is an amazing feeling where it can be passed on to others in a beautiful and positive way. Imagine a room full of JOY! How amazing would that be! 😀 Just entering this giveaway fills me with joy! Joy is a beautiful feeling that should always be shared with others and that is why she is my favorite emotion. My favorite emotion is Joy! Everyone should have some joy in their lives, from all different sources. Also, my first dog was named Joy! Definitely love Disgust because she’s voiced by the hilarious and beautiful Mindy Kaling! My favorite emotion thus far is Fear. just the way he is animated is very amusing. Also Bill Hader’s voice does very well in the role. I really like Bing Bong too, but he is not an emotion so Fear is my favorite. My favorite is fear, it keeps us grounded, it keeps us from making dumb mistakes, It makes us feel like heroes on a day to day basis. It also inspires my kids to see that if their dad can overcome something they are afraid of, they can do anything. I have spent 5 years overcoming fear almost everyday, after being wounded in Afghanistan my daughters drive me to overcome the fears I face everyday and inspire me to show them that fear can be used for good. My favorite emotion would have to be Joy. It’s a hard choice, but I would choose her out of all the fantastically hilarious emotions because she’s not only a funny and well-developed character, but also for what she can represent. Her positivity and encouraging nature in the face of difficult situations is something that this world can be short on too often, and being able to have a character that represents all I want in people (and myself) is some thing really special you only get every so often in movies. 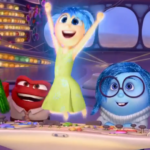 While Inside Out essentially celebrates sadness, Joy is a triumph in that she is something everyone would want to emulate. Disgust, beacuse it is voiced by Mindy Kaling, and I love her! Disgust because Mindy Kaling IS INCREDIBLE! I’ve loved her in everything she’s done and she deserves to have a voice in one of the best PIXAR movies eeeevvvvveeerrr (fingers crossed)! What could be a pessimistic character, Mindy makes wonderful! Those eyelashes! That green hair! Can’t beat it! Sadness is so cute in her little outfit! My favorite is easily Fear, because I feel he is the emotion that is in control in my own mind. My favorite so far would probably have to be Joy, because of her fun personality. Her happyness is contagious!